Truck accidents often result in financial losses, severe injuries and sometimes fatality which could be devastating. 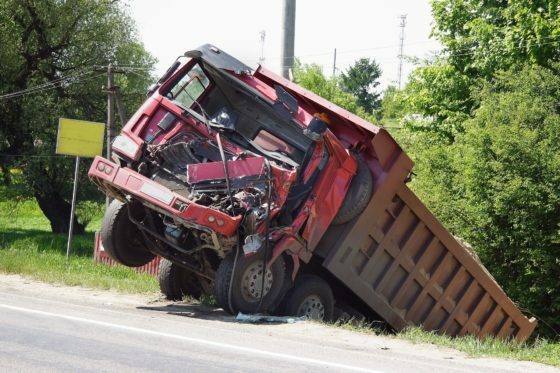 At Bradshaw Law LLC, we dedicate ourselves to helping truck accident victims obtain compensation for pain and suffering, medical expenses and other damages that may have affected them in the process of their trying time. Passenger vehicles are in grave danger when they meet with a large truck due to the substantial weight difference. The smaller vehicle suffers the full force of the impact and results in the occupants being killed or sustaining serious injuries that can have long term effects on the victim. Large commercial trucks must be maintained and examined to ensure they are in safe working condition. The trucking company has an obligation to inspect their trucks and make sure they are maintained to safety standards. Most drivers must follow the HOS Regulations if they drive a commercial motor vehicle, or CMV. If the truck parts are not maintained, accidents can occur and cause disastrous results. Truck drivers also have an obligation to take safety measures, obey the rules of the road and be cautious to drivers. Commercial trucking companies understand the risks and liabilities that their business represents. Because of this, they are prepared to investigate an accident as soon as possible so they can assemble as much information as possible to prove their case. Denise will handle the case with urgency by gathering evidence, reviewing accident reports and interviewing witnesses. If you have suffered the devastating effects of a trucking accident, Denise is a truck accident lawyer that can help you find reimbursement for your medical expenses and pain and suffering. To schedule a consultation, contact Bradshaw Law LLC at 775-738-7444.